Albessard worked first with Louis Clement (no relation to the Clement of Clement-Bayard), and in the spring of 1912 completed his first and only machine, which he named Autostable. It was a large tandem high-wing monoplane, in which the pilot and unknown number of passengers sat in a 2.5-meter wide cabin behind big rectangular Emaillite windows. The top of the fuselage was flat for extra lift, and was extended into fins along the side for still more. All 4 wing panels were the same, with greater angle of attack for the front pair, and warped for lateral control, through an automatic pendulum device - hence the name Autostable. The aeroplane was tricky to fly, apparently partly because it was heavy for the 85 hp 10-cylinder Anzani, and partly because it was excessively stable. Tests were completed by June 1912 at La Vidamee (Chantilly), north of Paris. The year 1914 saw the advent of several aeroplanes of the enclosed type. 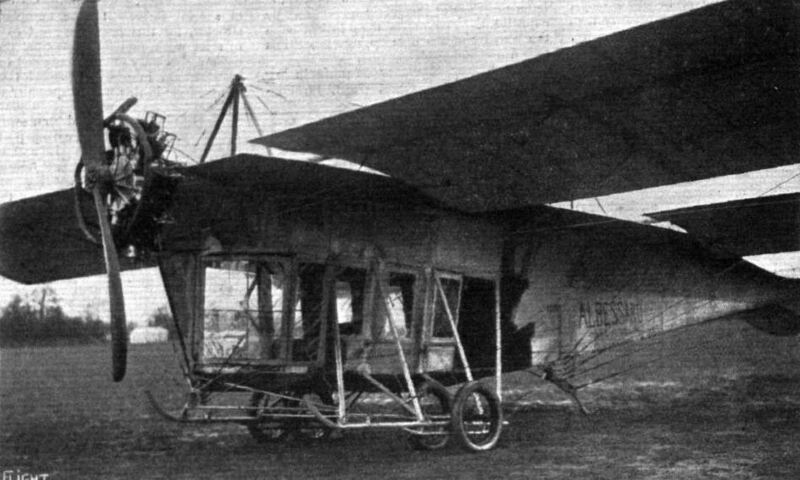 In France one of the earliest to take the air was the Albessard tandem monoplane, shown in the accompanying photograph. This machine had a very roomy body, which was fitted with windows in front, where were accommodated the pilot and two passengers that constituted the human complement. The engine, a 100 h.p. Anzani, was mounted high up in the nose of the body, and was thus well out of the way as regards obstructing the pilot's view. Altogether the Albessard was excellent for visibility, especially in a forward and downward direction, owing to the absence of any bottom plane to restrict the view, but although the machine flew it was never a great success, in all probability due to the arrangement of the wings in tandem, which all authorities agree is a very inefficient one. View of the cabin on the Albessard monoplane, which accommodates three passengers. 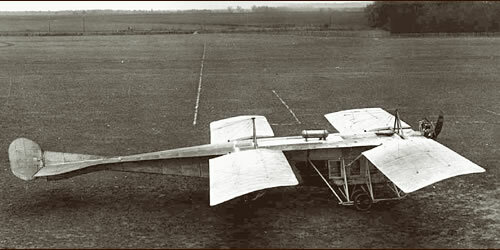 View from above of the Albessard double monoplane, which is fitted with a pendulum automatic stability device. The span is 11 metres and the overall length 12 metres. It is fitted with a 100 h.p. Anzani motor, and weighs 750 kliogs. empty. From the beginning of aviation people had fantastic visions of future possibilities and a few made first efforts to bring them into practice. Like Albessard who built a tandem monoplane with a passenger cabin in 1912. He gave up on the aircraft after unsuccessful tests which were performed with only the pilot aboard. 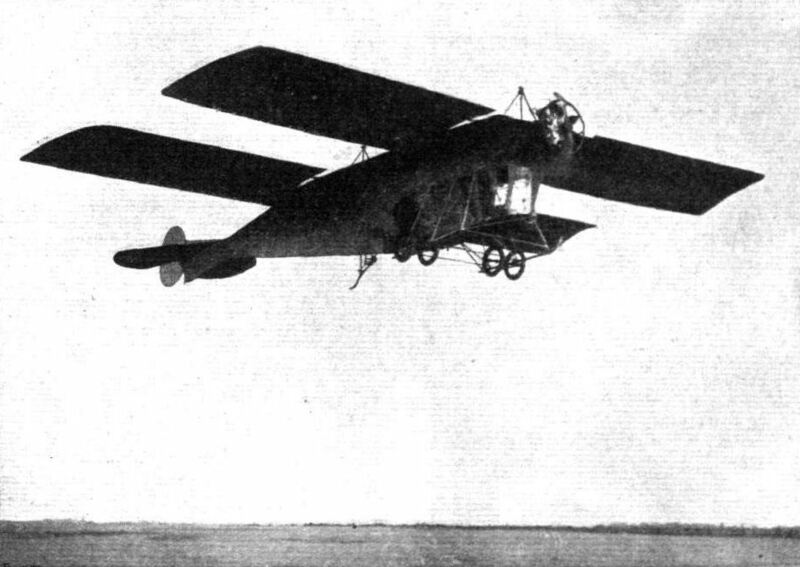 The Albessard monoplane, which was illustrated in FLIGHT the week before last, in the air. Two views of the Albessard Autostable. Note flattened top, and the keel aft the passenger compartment.